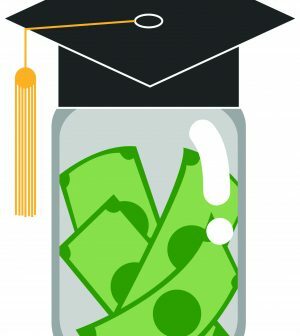 This is part two of a semester-long column series on the topic: budgeting in college. One of the great mysteries of the financial world is credit, and as college students, it’s important to understand why we need to start worrying about credit early on. Amber Cobb (AC): What is credit/a credit score? Chrisite McCormick (CM): Before borrowing money in any form (credit cards, loans, etc.) your credit score is nonexistent. Then, once you DO borrow money, your credit score sticks with you. The status of that score reflects your ability to pay back that borrowed money within the time frame that you agreed to do so. AC: Why do we need credit? CM: Most people are not able to pay cash for things such as college, a car, a house, etc. Credit allows you to pay for those things over an extended period, rather than upfront. In these cases, the bank or credit union pays the amount in full, then you repay the bank. However, if the bank doesn’t trust that you are going to pay them back, then they may choose to not lend you the money in the first place. This is where your credit score becomes important- it tells the bank how financially trustworthy you are. AC: How do I start building credit? CM: The first step is typically a credit card. Banks often recommend that a parent cosigns with you on your first credit card, due to your nonexistent credit score. Once you begin using that credit card, your credit begins to build if you pay off that credit card regularly – making the payments that it requires. The best way to do this is to never charge anything on your credit card that you don’t already have money for in your bank account. Essentially, treat it like another debit card – paying it off as you’re using it. AC: What are some common misconceptions about credit? CM: One is that you have to charge large amounts to your credit card in order to build your credit. That is not true – if you’re paying your credit card off monthly, the amount doesn’t matter much at all. Another misconception is that the more credit cards you have, the better. This also isn’t true. Actually, closing out credit cards often hurts your credit. It’s best to stick to a minimal amount, no matter how great those department store credit card perks sound. By understanding credit and how to build it, credit will seems less daunting. It’s more important than we think.